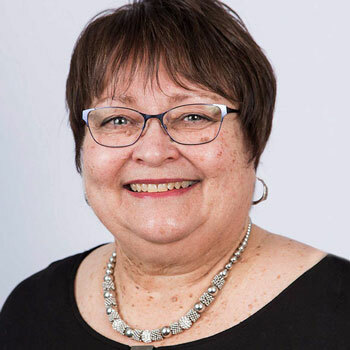 From criminology lessons in Brantford to North American Studies courses in Waterloo, Debra Nash-Chambers has made valued contributions to students’ learning at Wilfrid Laurier University. “Dr. Nash-Chambers was the first professor who worked to connect with me on a personal level, and her support and caring consideration for our wellbeing boosted my confidence as an individual and benefited my undergraduate career immeasurably,” says Isaac Hewitt-Harris, a former student of Nash-Chambers who will start graduate studies this year at Laurier. Nash-Chambers joined Laurier as a part-time instructor in 2005, after finishing her PhD and teaching at the post-secondary level for a number of years in the United States. Her areas of expertise include American and Canadian history, with a particular focus on social history. Over the past 12 years, Nash-Chambers has been teaching in several departments at Laurier, including in the Department of History, as well as programs such as Criminology and North American Studies, where she covers topics like crime and constitutional law, and the business, cultural and political relations between America, Canada and Mexico. In all her courses, Nash-Chambers stresses the importance of learning good communication skills for life after university, yet she does not hesitate to adjust her teaching approach when necessary — adapting to department curriculum goals and pedagogies. "The faculty at Laurier continue to research and participate in conferences, but teaching has been and remains a top priority throughout the university and all the departments I’ve taught in." In many of her classes, Nash-Chambers introduces students to social justice issues — the dynamics of racism and gender, for example. In a North American Studies course, she uses the interactive KAIROS blanket exercise, which brings to light the history of colonization in Canada, and the historic and current relationship between Canada’s Indigenous and non-Indigenous peoples. In the exercise, participants go through the colonization, treaty-making and resistance experience of Indigenous peoples by standing on blankets that represent land. Beyond in-class work, Nash-Chambers created a course that gave students meaningful hands-on experience through field trips and 10 weeklong internships at local archives, libraries and history museums throughout Wellington County and the Waterloo Region. Some of her students who have taken the class have been able to find employment through the experience they gained during their internship. Nevertheless, Nash-Chambers does not see herself as the exception.